Economy class alarm system for small real estate objects. 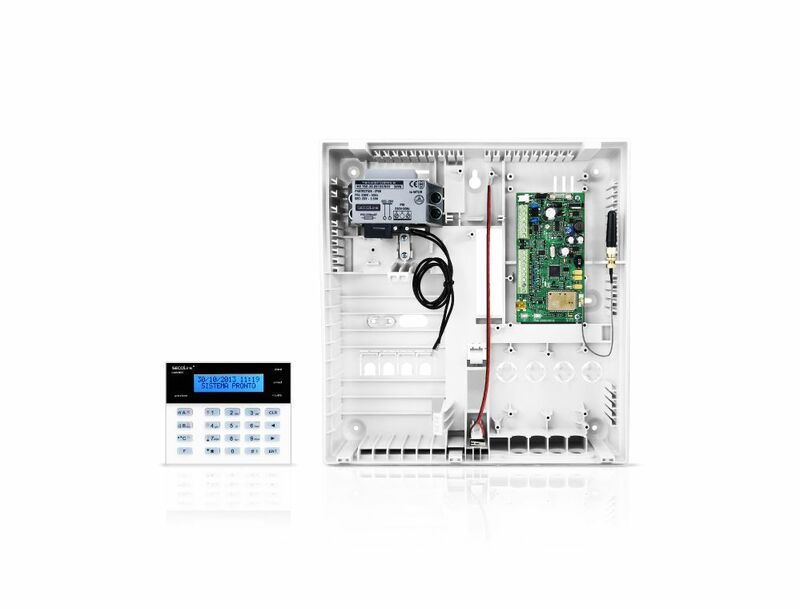 Supports up to 7 zones (5 zones on control panels board and 2 on keypad). 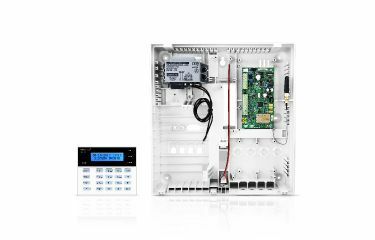 Kit includes control panel GSV4B with integrated GSM/GPRS communicator, keypad KM20B and fireproof, plastic case CAS6 with integrated transformer. 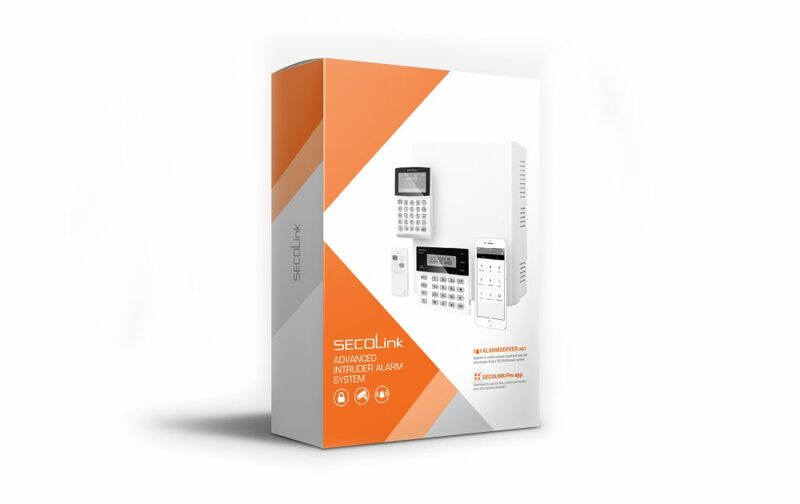 Alarm system available only as a kit. Zone speed (sensitivity) 0.1 - 2.5 sec. Arming mode Away, Max Away, Night, Stay. 24h: burglary, panic silent, panic audible, tamper, fire, smoke, fire button, medical button, fire supervisory, low water level, RF Jam, gas detected, water leakage, high temperature, low temperature. Zone attributes Enable bypass, no alarm, arm when door is closed, entry route, exit route, fire verification, limitation of alarms, limitation of reporting, pre-alarm, armed night. PGM definition Fire alarm, fire/burglary alarm, burglary alarm, tamper alarm, technical alarm, selected alarms, chime, zone violation, bypass status, selected trouble, exit/entry warning, wxit arm status, full arm status, arm/disarm acknowledge, power supply, resettable power supply, fire power supply, timer, mono/bi switch. PGM attributes Inversion, pulsation, latch, pre-alarm, arm notification, arming failure notification, arm notification, disarm notification, clear alarm notification. Current consumption Backlight on 100 mA, baclight off < 50 mA. Character set Latin, Russian, Greek, East European, West European, Azeri, Turkish, Scandinavian. User interface type Advanced, Simple, Baltic, Asian.